1. Choose your portfolio theme. Make sure the size is appropriate to the amount of work you plan on showing. If possible, choose a portfolio case that represents your design style. 3. Select a variety of projects to include in your portfolio. 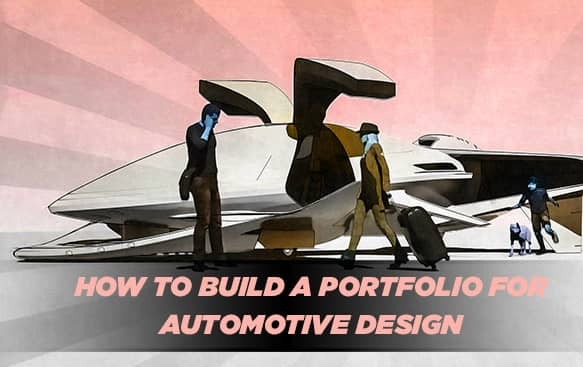 You don't have to include every project you've ever done in your portfolio, but you should be able to demonstrate a range of different assignments or projects you have worked on. Try to include projects you are proud of to show your best work. But when it comes to choosing items for your portfolio, quality always trumps quantity. A portfolio isn’t supposed to be a digital repository for every .psd file on your hard drive. It’s a public showcase of your very best stuff. 4. Illustrate the design processes of the projects in their entirety. For the projects, you have selected, demonstrate their progression from initial concept to final design. Put each process together in a logical progression so those viewing your portfolio can easily understand the progress. Most students believe slick renderings are what land you a job. That's not the case at all. More students get hired with one or more sketchbooks + their portfolio. It's the thinking process and the creative ideas that get the job, NOT the showy renderings. We can teach a monkey how to 'render', but you can't teach a monkey how to think. Don't try to put too much stuff in one page for reference zoom out your portfolio page to 6 inches and then see can it make comfort while seeing to it without any fluctuations in the content and quality everything clearly. Do: showcase only your most brilliant, riveting designs in your portfolio. Demonstrate the breadth of your experience by including a variety of samples. Don’t: include designs you’re not extremely proud of. Your portfolio is an art exhibit, not a place to dump images. Do: give your audience a sense of what was involved in every design that appears in your portfolio. A great story will send great leads to your inbox. Don’t : assume viewers understand the significance of each portfolio item based on appearances alone. You’re not selling to other designers—these viewers need to know why the design is effective and how you made it that way. Do: resize and compress every work you have posted in the portfolio. Make it easy to contact you. Strive to make navigating your site a delightful, straightforward experience.